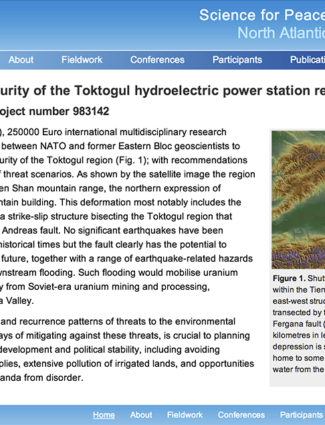 In 2010 I developed a website around the geoenvironment of Toktogul, a project funded by NATO. This was a simple brochure site explaining the project behind the geo-environmental security of the Toktogul hydroelectric power station region in central Asia. It contained project details and contact information for people involved in the project.